Go on an intergalactic adventure in Super Nova Slots! There are 5 reels and 25 paylines, rewarding bonus features, exploding reels and more! Good luck! 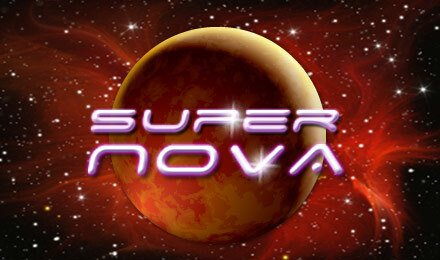 Super Nova Slots will take you to outer space and have you winning big! The reels are full of Zodiac symbols, such as Scorpio and Leo, as well as the standard Symbols like Queen, Ace and King. There are no Wilds or Scatters, but there are Exploding Reels, where you can win extra coins!